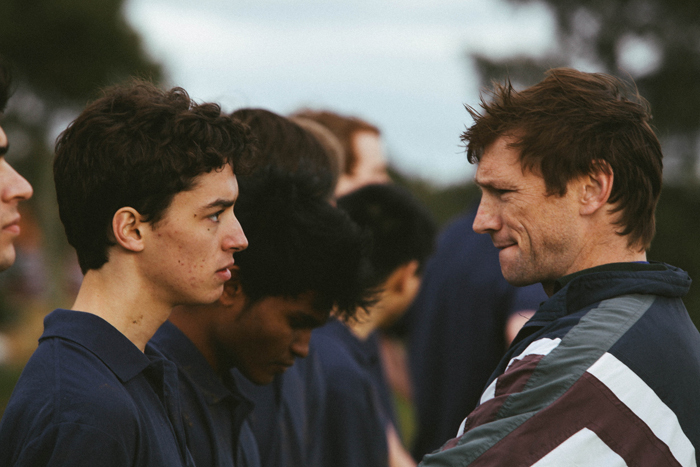 Why Ryan is on Detention is the story of a high school rugby coach struggling to deal with the death of his star player who died after a heavy tackle during interschool footy. When Jason (Nathan Falcke) dies after a heavy tackle during interschool footy his coach Mr Thomson (Jimmy Taylor) and his best mate Ryan (CharlesGrounds) are left to deal with the aftermath. Thommo doesn’t want to talk about it while Ryan doesn’t even know where to begin. Their shared silence hides a sad truth about what it means to be a man on Thommo’s team. But now with Jason gone and Thommo seemingly indifference, Ryan must decide what kind of man he wants to be.